The other day I was driving along and was going through stop light after stop light. I would wait patiently for the light to tell me when it was safe to move forward towards my destination. At one point I came upon a stop sign. Still in the same mentality, I caught myself just sitting there, even though there were several opportunities to move forward through the intersection. Subconsciously I was waiting for a light to tell me when to move forward. I finally realized what was happening and continued through the intersection after looking both ways to make sure it was safe to go. Don’t wait for someone to tell you what to do. I immediately thought how that situation was how I was living my life, and how many of us live our lives, both socially and financially. Let me explain. I just turned 41 years old this last month. In those 41 years, I ran my financial life just like the above described scenario. I would wait for an authority, like my parents, my school, or society in general to tell me when to make a significant financial move. This included things like, paying tuition, funding a study abroad or buying a car. I never made a major financial purchase unless I was being forced by circumstances or societal norms. I realized if I continue to live this way financially, I would never exit the rat race. I would never take risks and as a result, I would never be able to obtain wealth. Playing it small has always been my “modus operandi”. I felt that by playing it small, I would never get myself into any significant financial trouble. This may shock you, but I also played my personal life the same way. That’s a story for another day. So many signals are sent from society today. When we are at a crossroads in life and we have the choice of sitting still and enjoying the comfort that the rat race gives us, or making a bold move and crossing the intersection to move our finances forward, what do we do? For years, I just sat at the stop sign, and since I wasn’t receiving any signals from an authority that I should buy a business, a rental property, land, more stocks, I didn’t. I also didn’t get a second job, start a small business, or create a blog to build cash to buy the above assets. I was comfortable, and my needs were met by my day job. I also was saving money each month for the unavoidable rainy day. I felt safe and secure, so I didn’t take any risks. No risk also means very little to no reward. At the age of 40, I finally moved forward through that stop sign and purchased a franchise license from a retiring franchise owner. A few months later I bought out another franchisee who was changing careers. Two major purchases in a few months period. This was a significant risk, but I judged the situation, and was sick of sitting still and living a financial life on the defense. I wanted to move to the offense and take calculated risks to try and advance my financial situation. It also helped that I had a partner in life who was willing to take the risk with me. We both knew that if we failed miserably, that we could always go back to working for someone else. We were not going to starve. My brother-in-law knew this instinctively. He didn’t graduate high school and worked with his hands. He knew that if he was going to get ahead, he had to take calculated risks and always be on the lookout for the next financial opportunity. He couldn’t wait around for someone else to decide his financial future. He took control, and by the time he was in his early 30’s he had over a $1,000,000 net worth. For those of us who are lucky to have well paid desk jobs, it’s sometimes even harder for us to obtain wealth as we always have money to spend, and boy do we spend it! We don’t necessarily have that hunger and scrappiness to get more. 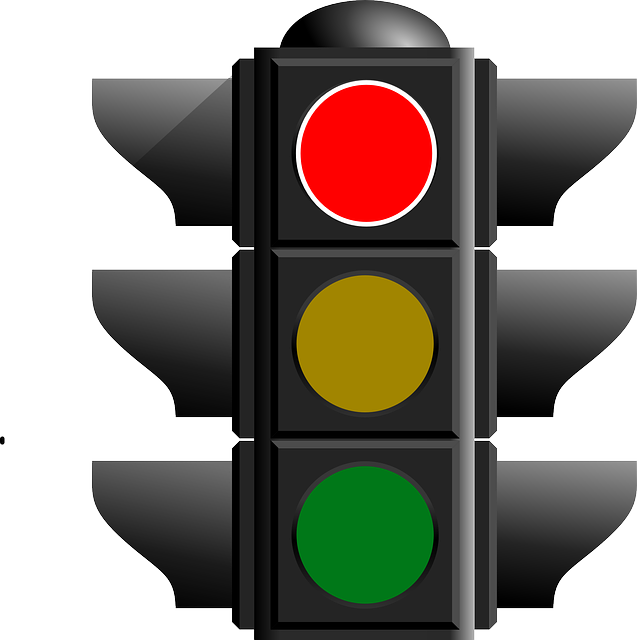 My continual challenge for myself and the readers is to not stop moving forward in your financial life once you have that comfortable job (the stop sign). Keep striving and looking for opportunities to cross that intersection and have continual progression in your life. Society will tell you that your day job is enough. Go Against the Grain and carve your own financial future. Take a few measured risks. See what you are capable of! And if you reach a point of obtaining enough wealth, please share that wealth and share your knowledge to help others get to where you are. Have a great week ahead and remember to not get stuck at that stop sign!